One of the top reasons businesses fail is a lack of money. What many people don’t understand is that a business can be making a profit and yet have no money. There are many aspects of money management that need to be tracked in a business, but one of the most important, besides income, are expenses. Many businesses spend way more than they think, often on things they don’t need. A business tracking spending spreadsheet can help you stay on top of what you’re spending, so you can make wise financial decisions in your business. 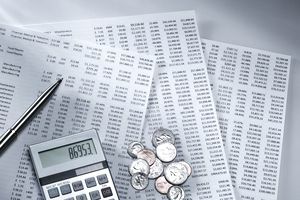 What is a Business Track Spending Spreadsheet? A track spending spreadsheet is exactly what it says it is; it’s spreadsheet that you use to report your business spending. It’s not a budget. Instead it’s a place to keep a record of all the money that is leaving your business. Why is a Tracking Spending Spreadsheet Important? 1. Identify money leaks. Are you paying additional fees because you’re not meeting a threshold or your bills are late? 2. Discover errors. Were you double-billed or billed too much for something? 3. Identify expenses you can cut. Are you paying for things you no longer need or use? 4. Make decisions about what’s important in your business. The less money you spend in your business, the more you can keep. When you see how much you’re spending and on what, you can decide if the expense is worth it, or would you rather save the money. 5. Make tax time easier. Most, if not all, of your expenses could be tax deductible. Having a tracking sheet makes it easy to organize and calculate your tax deductible expenses. There are a variety of financial software, apps and tools that can automate the creation of your spending tracker. However, sometimes automated tasks aren’t reviewed. In this case, a spending tracker isn’t helpful if you’re not looking at it to determine if you’re spending is within limits. Making your own tracker is more time and work, but it will ensure you have an intimate knowledge of your money, which is crucial to financial success. Here are tips to creating your own spending tracker spreadsheet. 1. Decide what spreadsheet software you’ll use. You can use Excel, Google Spreadsheet, or any other spreadsheet tool. 2. Gather your past 6-12 months statements. This will help you decide what you want to track as well as get a good idea of what you need to include on your spending tracker. You don’t necessarily need the numbers, just the items you spent money on that you’re likely still paying for in your business. Other services such as social media tools, image services, etc. Depending on how many fixed expenses you have, you may want to list them under categories, such as “Phone,” “Marketing,” etc. These would be listed vertically in the row cells (down along the left side of the spreadsheet). These are listed vertically in the row cells. Because they’re variable, you might want to list them below the fixed income expenses. Because you’re wanting to have an accurate view of where your money is going, you might want to break each expense down by vendor, and not category. For example, instead of “supplies,” where you put your total cost of spending at the office store in one cell, you may want to break out your purchases into sub-categories so you can track things like the amount of paper or ink you’re using. This is time consuming, but again, will make sure you’re on top of what is actually being spent, as well as insure you find errors. If you don’t want to hand enter your data, your bank probably has a function in which you can download it in a CSV or a variation of Excel format; however, this will deliver all individual expenses, and won’t match what you set up above, so you’d need to tweak to organize it. For example, if you have two payments a month to your virtual assistant, your downloaded file will have two separate payments, but in your tracking, you may want one total cost. If you use a financial software, you can download your expenses directly or as a spreadsheet file from your bank. Again, you may have to tweak it to fit what you’re trying to track. While big expenses can hit a business hard, in many cases businesses struggle because of nickles and dimes. A lot of little expenses can add up to spending too much. To find out how much you’re spending, you want to add all your expenses. If you’re using Excel, select the cell next to the numbers you want to add, click AutoSum on the Home tab, the press Enter. For example, if you want to know your total expenses in January, select the cell below the last number you entered in January, click on AutoSum and press Enter. If you want to know how much you spent over time on a single expense (i.e. phone), select the cell to the right of the last phone cost you entered, click on AutoSum and Press enter. If you use Google Sheets, open your spreadsheet, highlight the cells you want to add, then click on Sum: Total next to Explore. You can also calculate averages, minimum, and maximum. If you’re using financial software, it will likely automatically tally these numbers for you. Are you paying for two services that could be met through one? Are you using the membership you’re paying monthly for? Did you know you’re spending that much on printer ink? Looking over your expenses in a single spreadsheet will bring home how much you’re really spending in your business (and perhaps answer why you don’t have as much money as you thought), as well as identify areas that you can cut or save.